Jeffrey Rinkov, who has been with Lee & Associates® since 1995, is currently the CEO and chairman of the board. 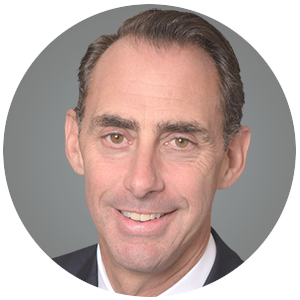 Since his tenure began with Lee, Jeff has been largely instrumental in the firm’s development of technology and communications infrastructure and has been one of Lee’s leading figures in the expansion of Lee’s presence on the national level. In addition to the five years he served on Lee & Associates® National Advisory Board, he has been president of Lee & Associates® Central Los Angeles, where he has served since his election in 2007. One of Lee & Associates® outstanding brokers, Jeff became a senior vice president and principal at Lee & Associates® in 2001 — a designation granted based upon outstanding client representation and superior production. A specialist in the representation of industrial properties, property owners, tenants and buyers in the leasing and sale of Central Market industrial properties, Jeff’s primary focus is on properties in the Central Los Angeles/Downtown industrial market including Commerce and industrial properties in Vernon and surrounding cities with high industrial concentrations.